Anne Hathaway, Jesse Eisenberg and the rest of the original gang are back in “Rio 2” for the follow-up of the 2011 animated hit “Rio” along with a flock of top actors and musical talents new to the franchise, as announced by Vanessa Morrison, president of 20th Century Fox Animation. The film is now in production at Blue Sky Studios. Twentieth Century Fox's international rollout begins March 20, 2014, followed by its domestic release on April 11, 2014 (April 10 in Phils.). Returning to RIO 2, a world rich with grandeur, character, color and music are Anne Hathaway, Jesse Eisenberg, Jemaine Clement, will.i.am, Tracy Morgan, George Lopez, Leslie Mann,Rodrigo Santoro, Brazilian singer Bebel Gilberto, Jake T. Austin, and Jamie Foxx. 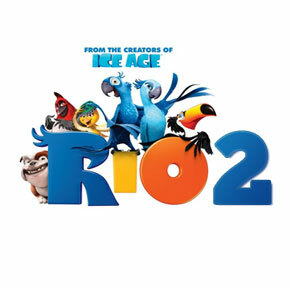 Joining the RIO 2 team are Oscar® nominee Andy Garcia,Grammy® winner Bruno Mars, Emmy®/Tony® winner Kristin Chenoweth, Oscar®/Emmy®/Tony®/Grammy® winner Rita Moreno, "The Hunger Games'" Amandla Stenberg, singer/actress Rachel Crow, "Looper's" Pierce Gagnon, and "Today" news anchor Natalie Morales. Released worldwide in April 2011, RIO's global box office tally is $486 million. It also was a huge hit on DVD and Blu-ray disc.